Following piles of mounting rumors, an official cloud-based storage option by Google is finally here. In February, a Google employee had mentioned that the company would be releasing a cloud-based storage service in a "couple of weeks". Although that turned out to be a somewhat overzealous estimate, it's here and here's what to expect. Google Drive appears to be very similar to Dropbox. First, you download Google's client program. Once installed, you choose what folders you'd like to synchronize and viola -- instant cloud storage. To send files to your Google Drive, you simply copy files into the designated folder. The default folder is "Google Drive" under your user directory, typically "C:\Users\%username%" for Windows Vista and 7 or "C:\Documents and Settings\%username%" for Windows XP. A fascinating aspect of Google Drive is its extremely close relationship to Google Docs. 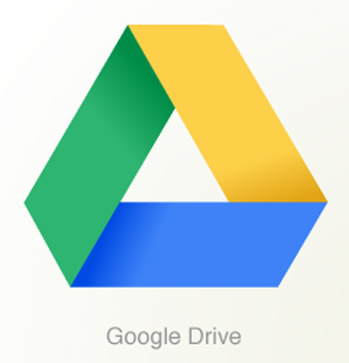 When a user enables Google Drive, their default Google Docs interface will be changed to accommodate Google Drive. By default, Google Docs has traditionally shown a home screen which displays all of your most recently opened documents. Perhaps at the risk of confusing some Docs users, this screen has been replaced with a "My Drive" page -- a page which only shows labels and documents located at the "root" of your Google Docs.. err... Google Drive. As a result, labels now work much more like folders. It is unclear what the future holds for third-party tools like Insync, however, they seem be functioning fine since Google Drive's release. The service is currently compatible with Windows, Mac, Android and iOS is expected to come in a "couple of weeks".